Cardiac muscle is similar to skeletal muscle in that it is striated and that the sarcomere is the contractile unit, with contraction being achieved by the relationship between calcium, troponins and the myofilaments. This article will consider the structure of cardiac muscle as well as relevant clinical conditions. T tubules lie in register with the Z band and not the AI junction (as in skeletal muscle). 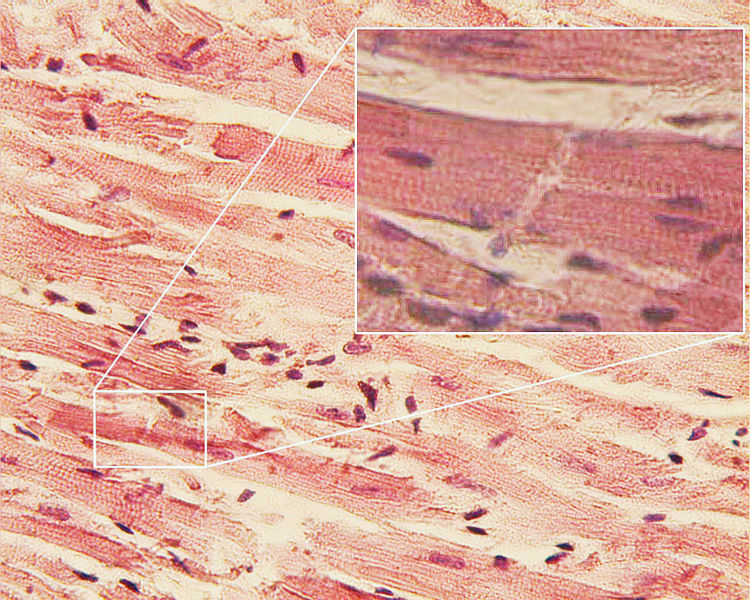 Fig 1 – Histology of cardiac muscle. Arguably the most important feature of cardiac muscle is its intercalated discs and gap junctions. The disks act as the Z band would in skeletal muscle, demarcating where a cardiac muscle cell meets the next. The transverse portions form adherens-type junctions (attachments) and desmosomes, holding the muscle cells together, while the lateral portions form gap junctions that allow for quick conduction of action potentials. This is crucial to allow the heart to contract in a coordinated manner and pump the blood. Cardiac muscle is myogenic (creates its own action potentials) but is regulated by the pacemaker cells – the sino-atrial node and atrioventricular node. These cells spontaneously depolarise to trigger a cardiac action potential. However the cells of the bundle of His and the Purkinje cells are also capable of spontaneous depolarisation. However it should be noted that purkinje fibres are NOT cardiac muscle cells- they are larger cells with far fewer myofilaments and extensive gap junctions, as well as lots of glycogen. They conduct action potentials much faster allowing for synchronous contraction of the ventricles. Fig 2 – Diagram showing the overall structure of cardiac muscle and highlighting the position of gap junctions. Hypertrophy refers to the thickening of muscle, in this case cardiac muscle, through an increase in muscle cell size. This occurs in response to pressure overload. Familial cardiomyopathic hypertrophy can cause sudden death in adults who are observed to be perfectly healthy. This is due to genetic defects in some of the proteins found in the sarcomere of cardiac muscle such as myosin and troponin. The condition is autosomal dominant so affected individuals will always have one affected parent. When the circuit of depolarisation is interrupted, for example following a myocardial infarction when there has been damage to the muscle (this can be due to a number of other causes also including hypertension and hypertrophy) the desynchronised contraction can result in abnormal heart rhythms, an arrhythmia. 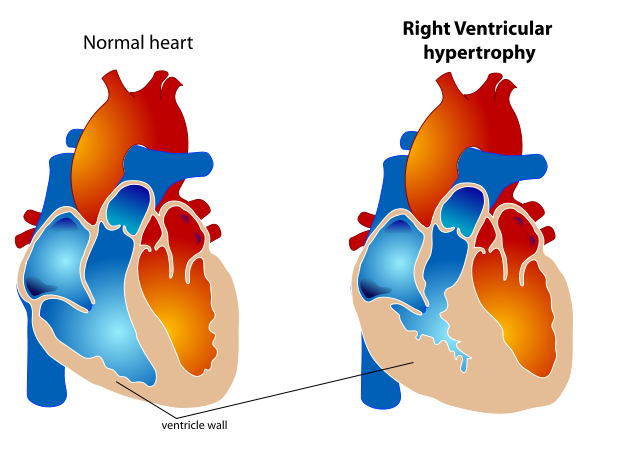 Fig 3 – Diagram showing a normal heart compared to one with right ventricular hypertrophy. Which of these is true of cardiac myocytes?